Welcome to Twins Windows and Doors Ltd, a family operated business with over 40 years of experience. When it comes to your windows and doors, insist only on the highest quality, insist on Twins Windows and Doors Ltd.
"Very professional, friendly. Walked through types of windows and installations. The experience from order to installation was easy." "Great workers. The work was done professionally and I am really pleased. Will hire them again for another window project in the future." "I found them to be very professional and reliable concerning promised phone calls, inspections, estimates, reasonable pricing and work quality. 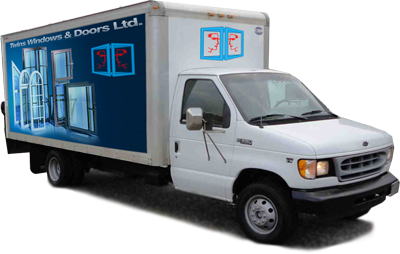 I would definitely recommend them to people looking for door and window replacement." "Very good value. They were on time and did very good work including cleaning up nicely and replacing a broken section of the new window on time and with little inconvenience to us. I would definitely use them again." "A class act, all the way!!!!! Very professional, thorough and conscientious of their working environment.......My home. We had windows, a patio door and storm door installed. Everything was delivered, installed and old stuff removed. Installation was done very efficiently and as quoted."